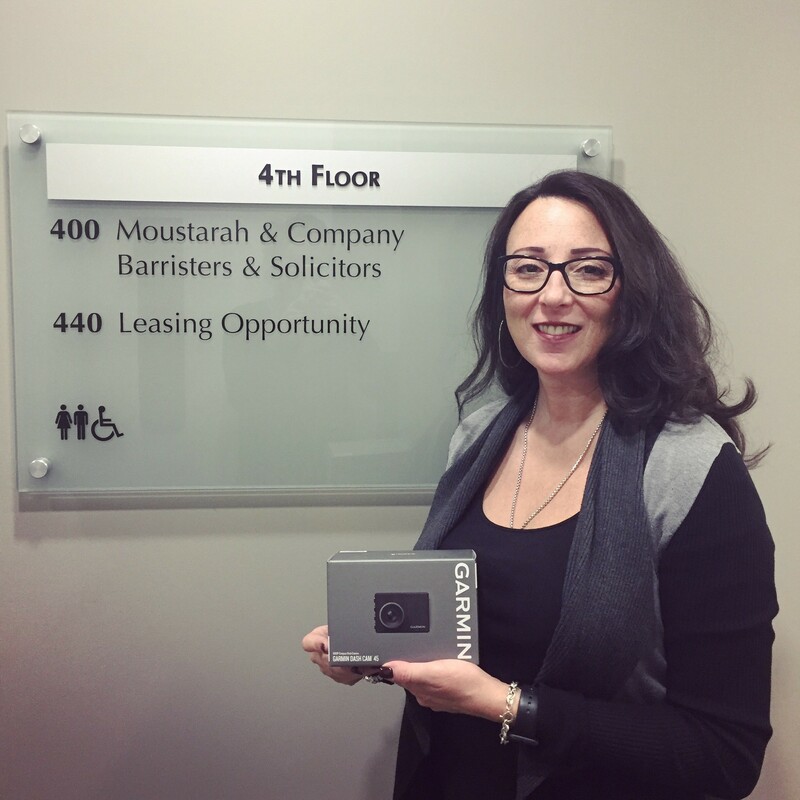 Please join everyone at Moustarah & Company in congratulating Maria Marrazzo, who was the winner of our Garmin DashCam 45 giveaway! We hope that Maria enjoys her prize. To learn more about the use of evidence, such as DashCam footage, in personal injury matters where liability is an issue, read our blog post here. To enter our latest giveaway for a GoPro Hero6 that can be used as a DashCam for cars, or a wearable camera for cyclist, motorcyclists, pedestrians and more, check out our Facebook Page here.